N Chandrababu Naidu is confident that once developed, Amaravati, which is looking at Rs 50,000 crore of capital infusion only for basic infrastructure, will be one of the top five cities of the world. Amaravati, Andhra Pradesh: Most famed global cities have come up on river banks, and this is precisely what makes Amaravati, the upcoming capital of Andhra Pradesh, a "passion" for Chief Minister N Chandrababu Naidu. For him, it is no less a "crisis turned into a rare opportunity", who believes that the greenfield capital -- on banks of the Krishna -- can be a world-class global city, unmatched in India, and only to compete with the likes of Amsterdam, Venice, Singapore or Tokyo. He is confident that once developed, Amaravati, which is looking at Rs 50,000 crore of capital infusion only for basic infrastructure, will be one of the top five cities of the world. Mr Naidu takes pride in his "development agenda" that showcases work on a war footing for the greenfield city and "all clearances including land approval for setting up of a top university in 12 hours". He feels that his opponents, including YSR Congress Party President YS Jagan Mohan Reddy, will be no match in the upcoming 2019 Assembly polls, given "the trust of his people". "It is a rare opportunity for a state leader to convert a crisis into an opportunity. 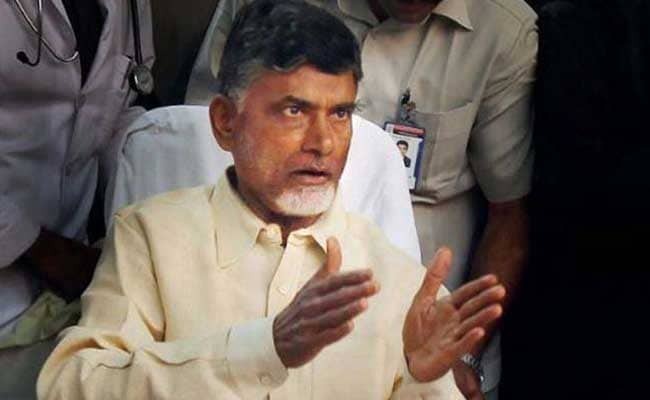 After the state bifurcation, instead of choosing to run Andhra Pradesh from common capital Hyderabad, I decided Amaravati would be our greenfield capital," Mr Naidu told PTI in an interview. "With that commitment, I started my camp office in a bus here and now, we are developing a world-class new city on the banks of the Krishna that will be unmatched in India." Amravati is "our passion and once developed you would see it among top five global cities. It will be on par with the likes of Amsterdam, Venice, Singapore or say, Tokyo", Mr Naidu said. The interim transitional government complex at Velagapudi was built to accommodate 500 employees in a record 192 days with Rs 512 crore investment. "We would be investing about Rs 50,000 crore in creating only basic infrastructure in the capital city and once it is developed on banks of the river Krishna, it will be unparallelled. You would have seen most fascinating cities across the world are nestled on river banks," the chief minister said, explaining the logic behind his move. The state government has already got on board top global consultants from the UK, the US, Japan, the Netherlands, Singapore and other nations to offer a development road map. Top global UK-based firm Fosters and Partners is tasked with providing the city architecture plan. The firm's architects had recently met Telugu film director SS Rajamouli -- of the blockbuster Bahubali fame -- for inputs on Andhra Pradesh's culture, history and traditions. The government has finalised Makki and Associates, a leading Japanese architecture company, to design two iconic buildings to house the state's Assembly and the high court. The Netherlands-based Arcadis, the well-known engineering consultancy firm, will be planning and designing the blue infrastructure in and around Amaravati that will feature water bodies, reservoirs, ponds and lakes, river drainage and canals. Arcadis has signed an agreement with Tata Consulting Engineers for blue infrastructure in the Amaravati region. For the green plan, HC Patel, which developed the Sabarmati river front in association with GIIC of China, has been roped in. According to Mr Naidu, Amaravati will host the best of institutes of higher learning like Harvard and Stanford, saying all clearances, including land approval, to Vellore Institute of Technology (VIT) was given in just 12 hours. Both VIT and SRM that have built their campuses in the new capital city are scheduled to start classes from this month. Mr Naidu was also quick to talk of the "unique land pooling system". "Land is no problem in the state... With our unique land pooling system, people, mostly farmers, have voluntarily come forward. They have given 32,500 acres of land under land pooling. It's a record in the world as nowhere in a developed economy, these types of activities have happened," he added. He sees no issues with funding as the government is creating an ecosystem with world-class infrastructure. "We would be completing the first phase of our new capital city by 2019," he said. The Andhra Pradesh Capital Region Development Authority (APCRDA) has been entrusted with planning, co-ordination, plan execution, promoting and securing the planned development of the capital region. The chief minister said trunk infrastructure work is progressing fast and access road infrastructure is likely to be completed next year. The government has already alloted 996 acres to a dozen institutions to set up educational, health and other bodies at a projected cost of Rs 17,808 crore. These projects are aimed at creating 32,726 jobs. Amrita University and Indo-UK Institute of Health, Mr Naidu said, have also been alloted land at a cost of Rs 3,200 crore. Last month, the Andhra Pradesh government had inked a pact with Singapore for developing 6.84 km as startup area in Amaravati. The chief minister made it clear that developing backward areas, including Rayalaseema, is also a priority for his government. Citing the example of Hyderabad, he said it was a backward area when it started off, but an ecosystem ensured the city happens to be one of the best.